Limited Edition Signed Print. 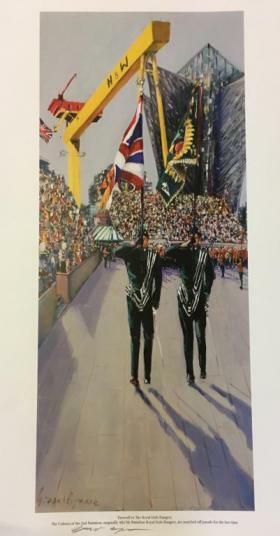 An official copy of the painting of the depicting the Royal Irish Rangers Colours being marched off for the final time on 22nd September 2018 . The Artist has only signed 50 copies. All proceeds will go to The Royal Irish Regiment Benevolent Fund.